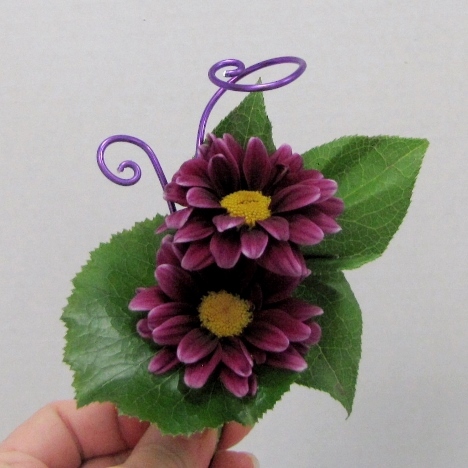 Decorative wire is very malleable (bends easily) and add color and interest to boutonnieres and corsages. 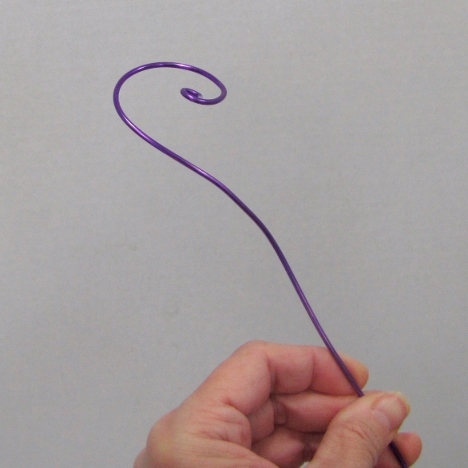 It is easily bent and twisted into shapes that you want. 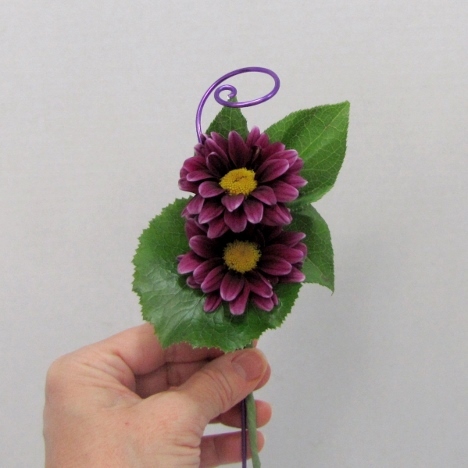 You can have a lot of fun experimenting to make your own cool and unique accents to your flower designs. 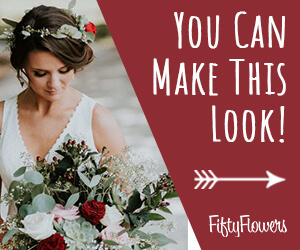 You can leave the swirls larger or cut down for a smaller look. 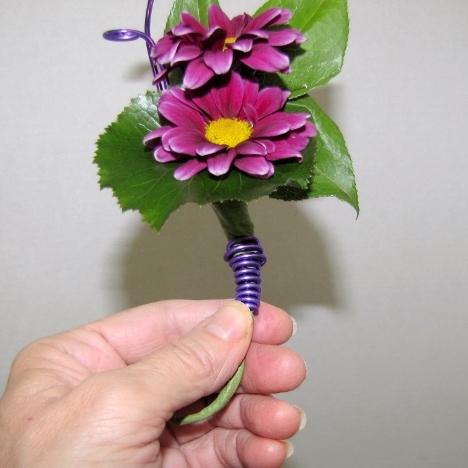 Just don't cut until you are finished assembling the entire boutonniere. You may regret cutting too soon. 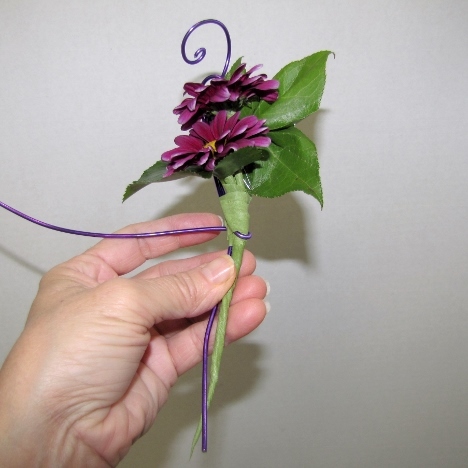 I'm going to leave the wire spirals about the boutonniere for now and tighten them down after I finish the boutonniere stem. 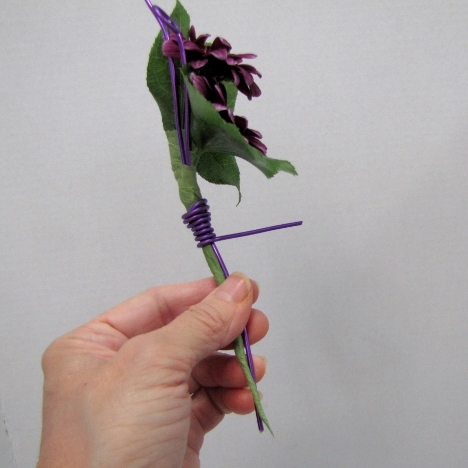 After the decorative wire is secured to the boutonniere stems with corsage tape, I'm taking one of the wires and coiling it tightly around the base of the boutonniere. 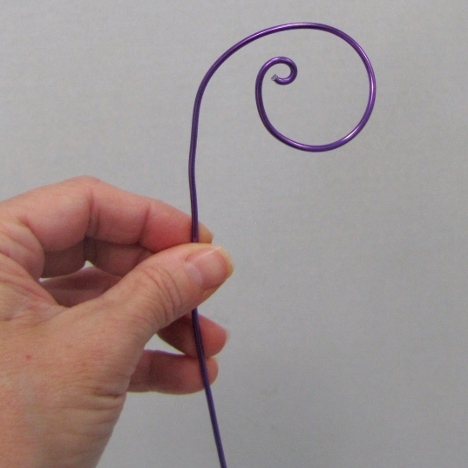 Keep the coils tight and wire down over the second parallel decorative wire. 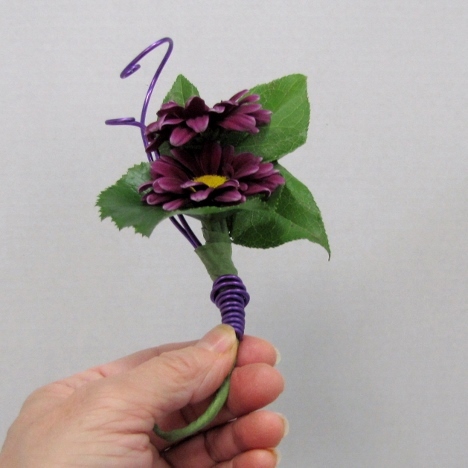 After the first wire is completely coiled, you can either cut the excess wire off or curl it decoratively at the bottom and leave on the boutonniere. 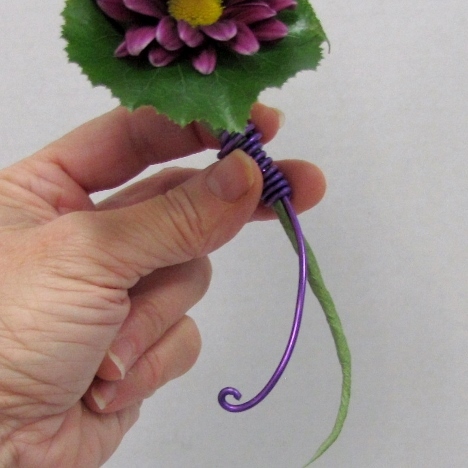 For my own taste, I clipped off the bottom wire - I felt it was too distracting for the overall design. I now turn my attention to the coils of colored wire at the top. 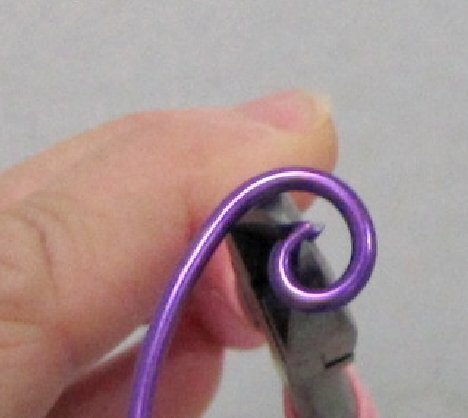 I use wire cutters to tighten the coils and make them shorter. 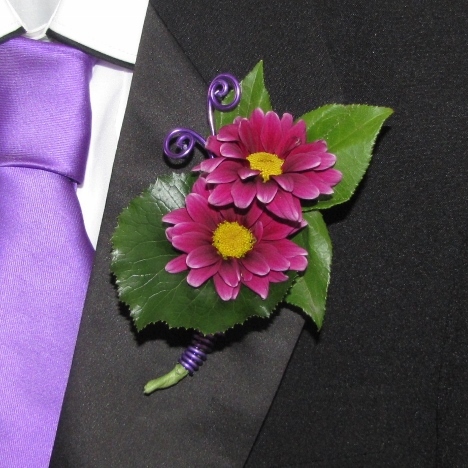 My final design made the coils of wire very tight and come out from the upper right of the boutonniere. 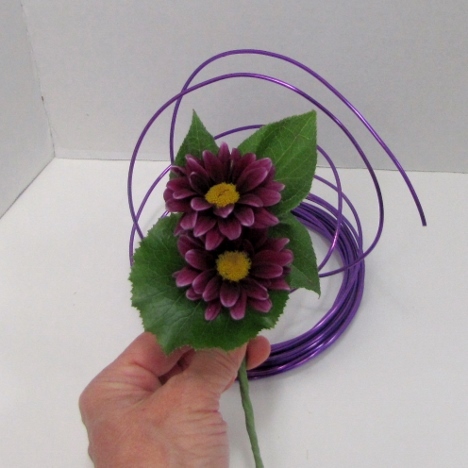 I wanted the wire to enhance, not overpower the daisies themselves, so that's why I ended up making the coils shorter. Don't forget the Finishing Touch spray. 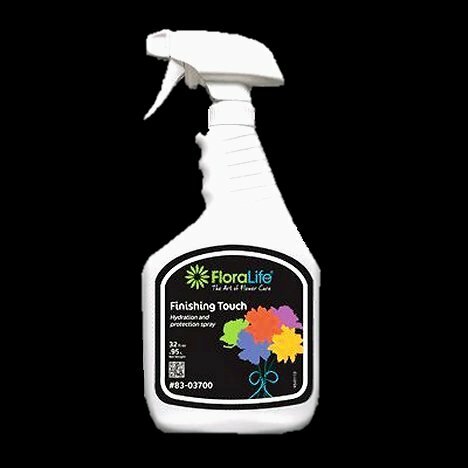 This is important because it locks in the moisture of the flower petals and keeps air conditioning or home refrigerators from drying out the flowers too soon.